The consultation is an important step in the Cash Debate within the UK because this is a chance for cash and payments researchers to submit their findings and show policymakers why cash matters. First, it should be noted that digital payments can be supported without implementing restrictions on cash. In chapter 2, the current 'barriers' encountered by those using digital payments have little to nothing to do with cash. Aside from the simple reality that people trust and understand physical cash over digital forms, one of the named 'potential factors that could be inhibiting the adoption of electronic payments', is the cost of some non-cash payments instruments. The BRCPS found that the average transaction cost for processing debit cards was 0.24% compared to cash's 0.15%. That's likely due to the time and money spent in setting up, understanding and maintaining a digital infrastructure. Second, if the government intends to 'ensure that cash is there for those who need it,' they should also ensure that cash is there for those who want it. Consumers who don't opt for cash on a day-by-day basis should still be free to keep an emergency cash stash and to be able to turn to it in the face of a security crisis and/or power outage. The hurricanes that brutalised Puerto Rico and caused a spike in cash demand last year reminded the world that as we are all at risk of natural disasters, everyone needs to have access to cash. The bottom line is that cash should always be an option. There are a myriad of reasons for why cash continues to be the most preferred payment form, from its universality to its resilience, read more here. Third, freedom of choice is a right that every citizen should be able to exercise when it comes to their preferred form of payment. But in a Business Insider article about the Future of Cash Conference in Vienna, Chief Cashier Victoria Cleland was quoted in her speech saying "the numbers tell a very different story," adding that "In 2016, the value of Bank of England notes in circulation increased by 10%, reaching over £70 billion in the run-up to Christmas: the fastest growth in a decade." 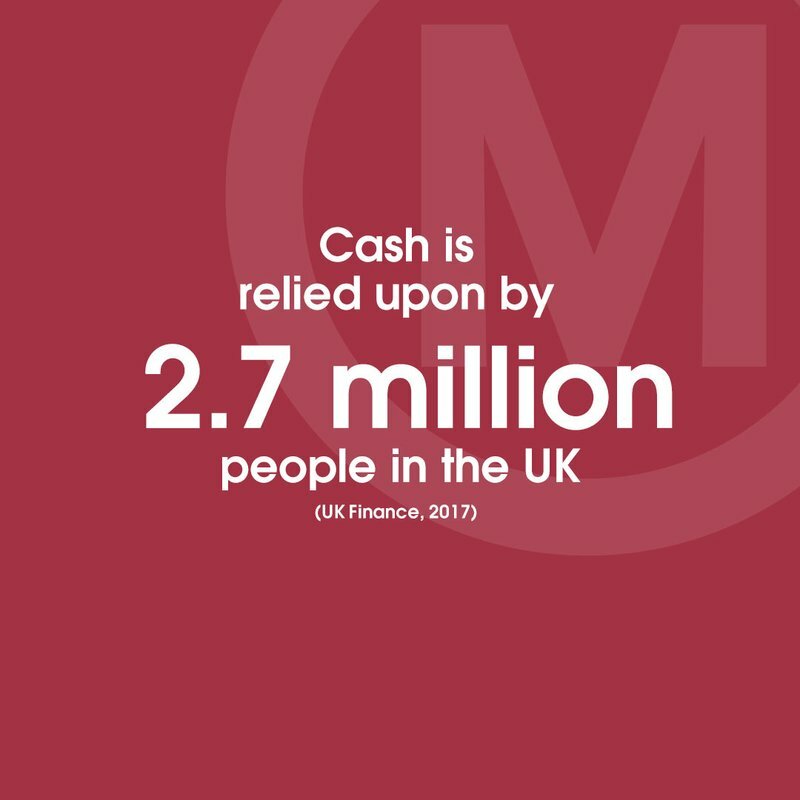 Further still, a study by Payments UK found that 2.7 million people relied on cash for day to day transactions in 2016, and that's half a million more than in 2015. The Consultation Document also ties 'perceptions' that associate crime with the potential culling of the highest denomiation GB banknotes. It's also a cruel use of a 'perception' in that it inspires fear to gamble with the law-abiding public's right of choice. The £50 note is often kept as a store of value within the UK and particularly overseas, and that is not illegal. We recall the sad story about Ethel Hülst, a 91-year-old Swedish lady who had her life savings taken away from her by the authorities who didn't trust that she had accumulated her cash earnings legally. Apparently, she needed to have kept all her receipts from her cash. She passed away having lost out on all of her hard-earned money because of criminal associations (ney, perceptions) made about cash. "The consultation's call for evidence was simply intended to help the government better understand the role of cash and digital payments. "One of the elements was whether the denominational mix of coins meets the public need. From the early reaction it looks as if it does." This call for evidence represents an important step in the discussion about cash and digital payments in the new economy, and how the transition from cash to digital payments impacts on different sectors, different regions and different demographics. It seeks to gather evidence to inform that debate, by exploring how the government can support digital payments and ensure that the ability to pay by cash is available for those who need it, whilst cracking down on the minority who use cash to evade tax and launder money. Those submitting research papers have until 11:59pm on 5 June 2018 to do so.